We are joining in with Black Friday and have some special clothing offers for our customers including motorcycle helmets, jackets, trousers, boots, gloves for both on and off-road bikers. 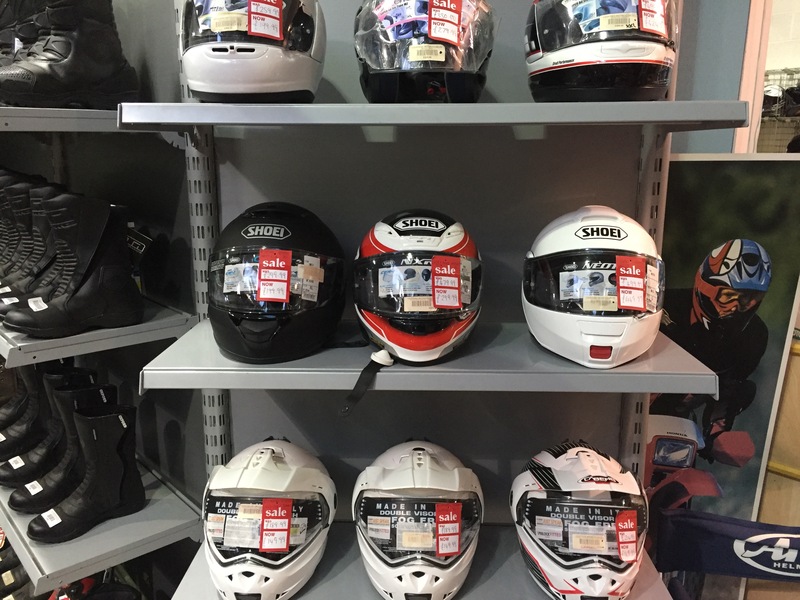 We have a handful of helmets left in the sale including Arai, Shoei, Caberg and MDS. 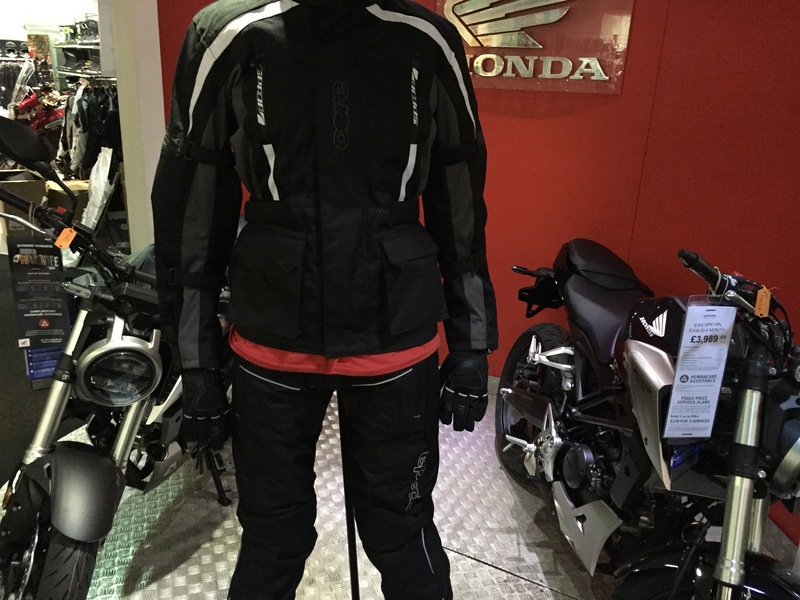 We have a whole Spada motorcycle outfit for you including an RP900 Helmet, Core Jacket, Modena Trousers and Ice Gloves, which is worth over £270 and tomorrow it can be yours for just £150! Call Jackie on 01492 535959 to find out more. 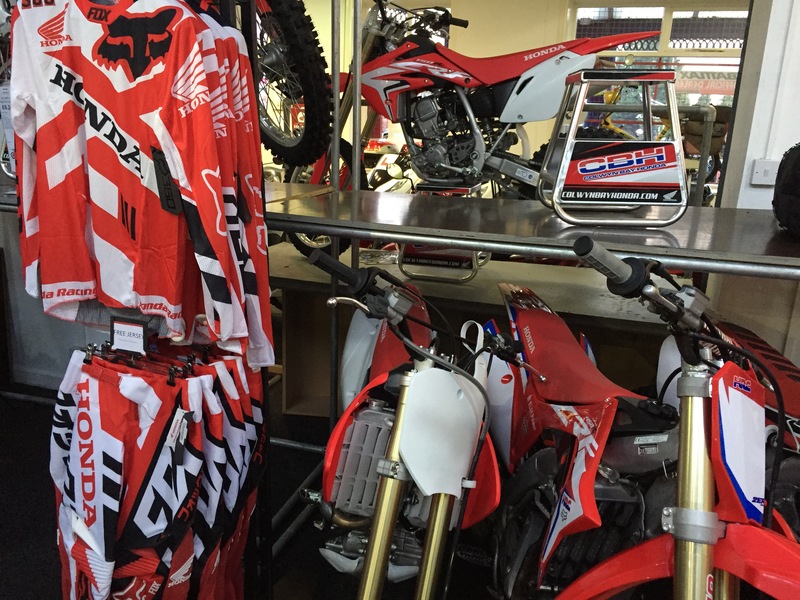 We’ve got brand new sets of Honda Fox 360 kits including Jerseys and Pants on offer… Buy the Fox 360 Pants (£149.99) and get the Jersey for free (worth £44.99)! We have several technical jackets available including Halvarssons, Lindstrands, Jofama, Alpinestars and Spada. 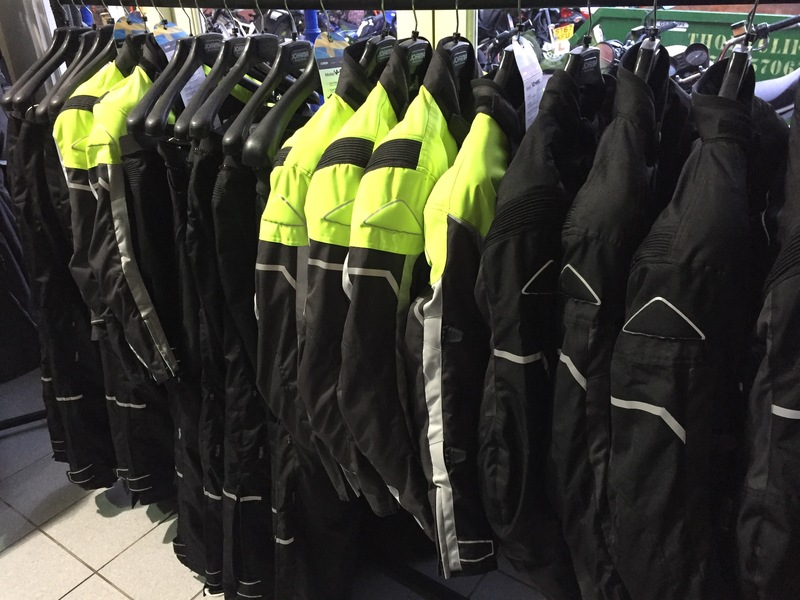 There are lightweight Summer jackets as well as more heavy duty textiles for all year and Winter riding. 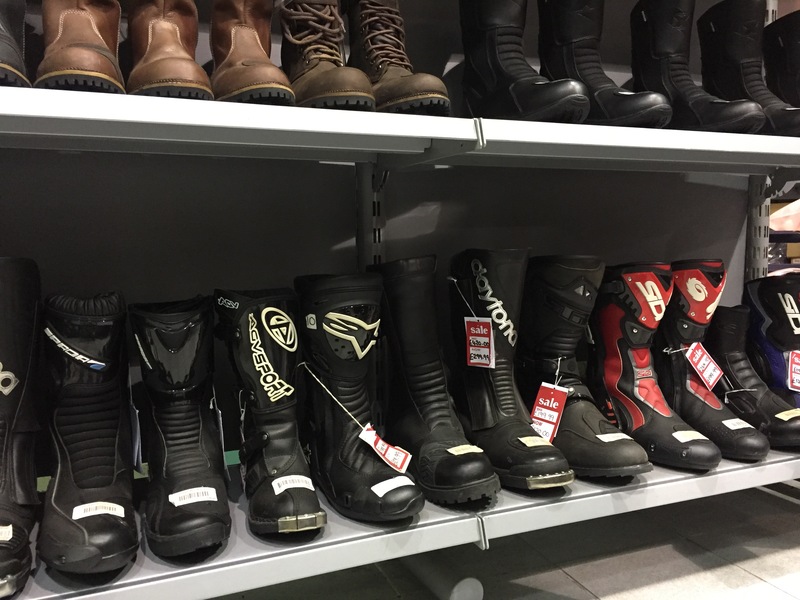 We now only have a few pairs of motorcycle boots left including Daytona, Sidi and Alpinestars. There are a few ladies and kids boots in the sales and several gents on-road riding boots. 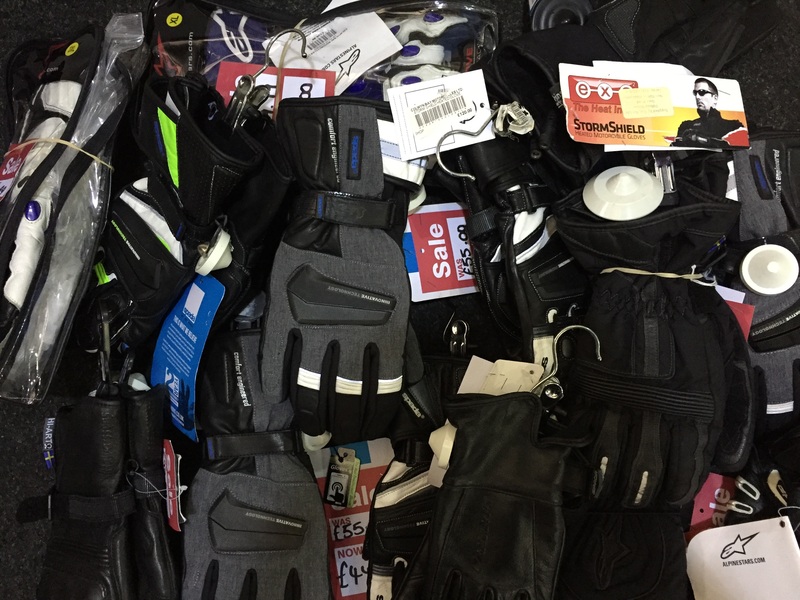 We have a range of Summer and Winter Alpinestars, Spada and Halvarssons gloves in the sale. Take a look in the bargain buckets by Jackie’s desk to grab yourself a deal. Most items have at least 20% off the full retail with some clothing at half price. The special offers are only available whilst stocks last and in-store. Please ask for Jackie on 01492 535959 to find out full details including sizes, price and availability.